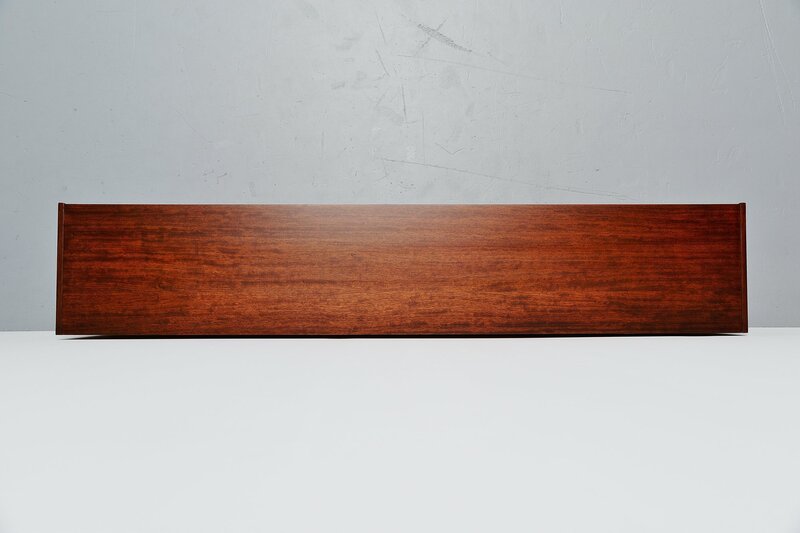 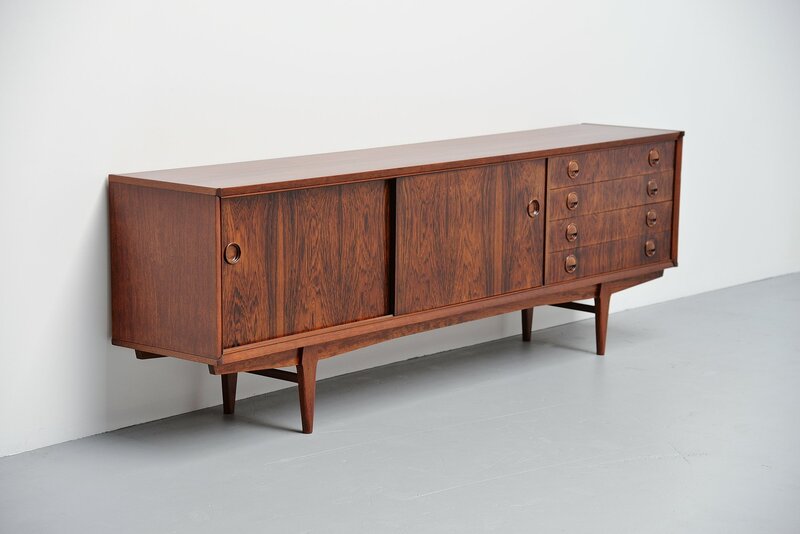 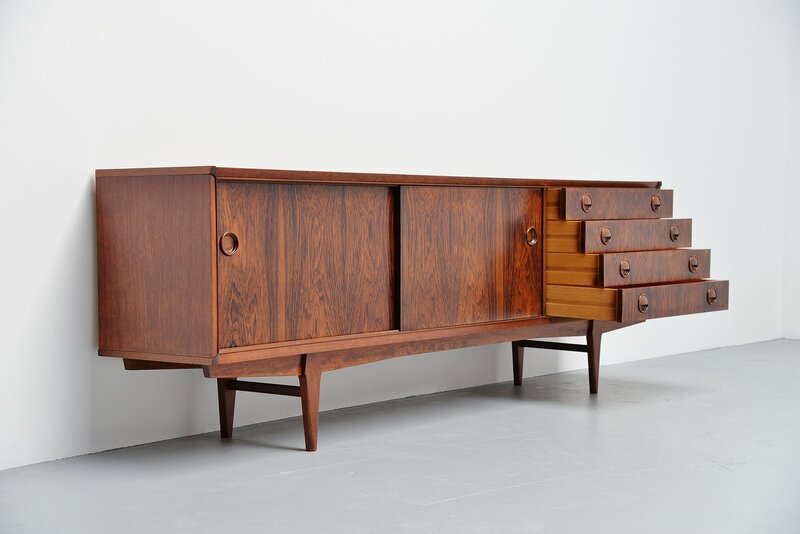 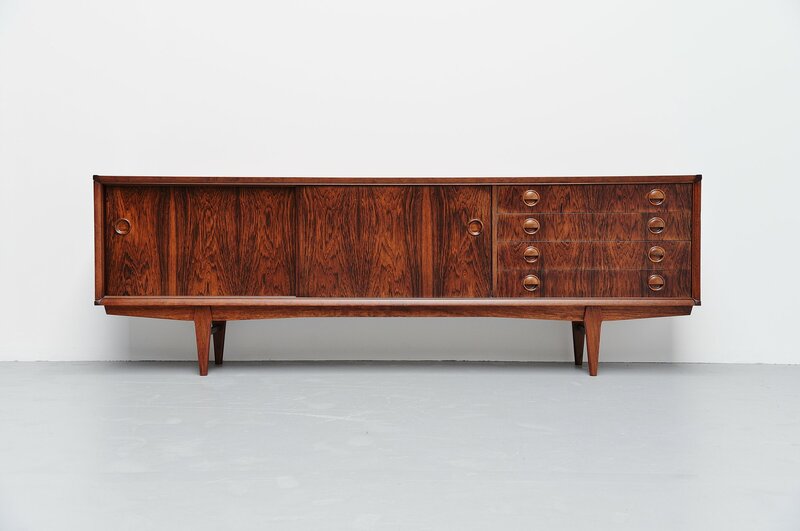 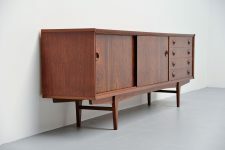 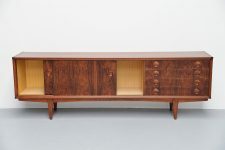 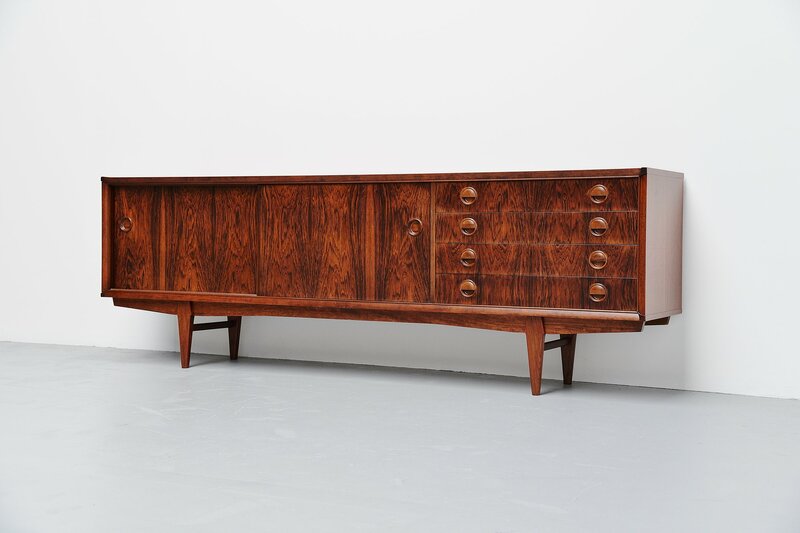 Nicely refined quality sideboard designed by Rudolf Bernd Glatzel and manufactured by Fristho Franeker, Holland 1960. 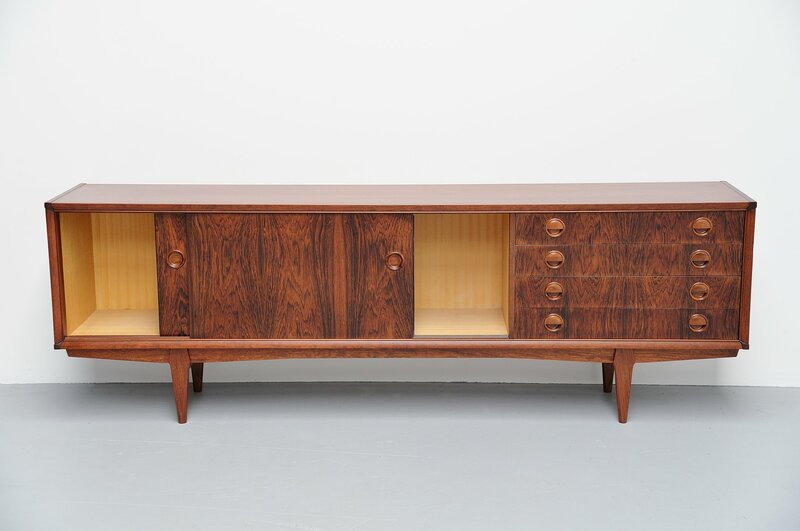 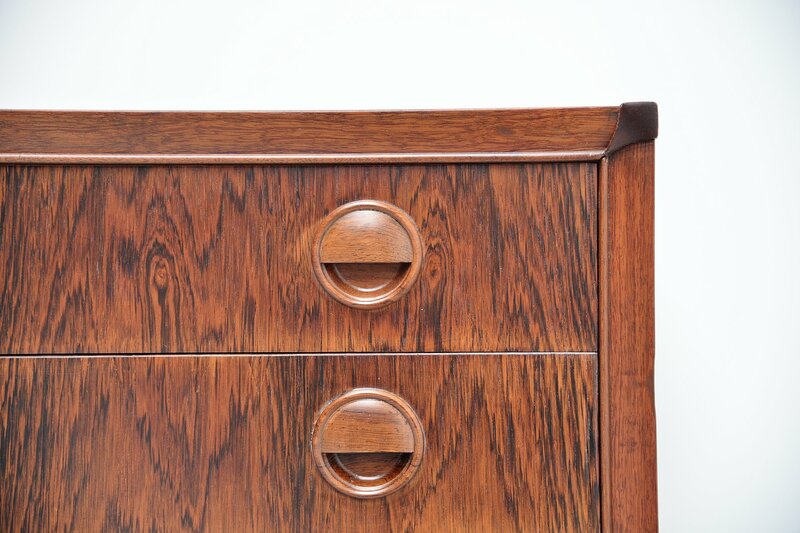 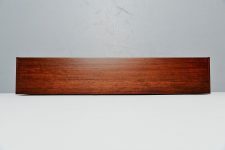 This sideboard is made of rosewood veneer and has a very nice and warm grain. 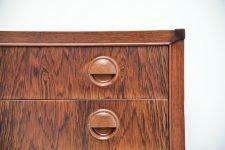 It has been professionally refinished and looks amazing. 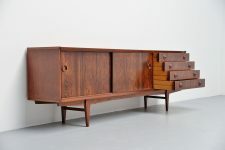 On the left there are two sliding doors with a shelve behind and on the right there are 4 drawers. 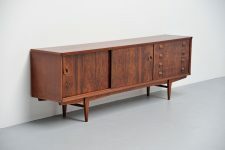 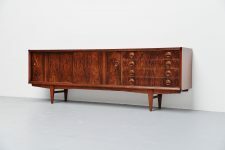 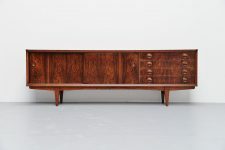 Nicely shaped sideboard by one of the best furniture companies Holland knew. 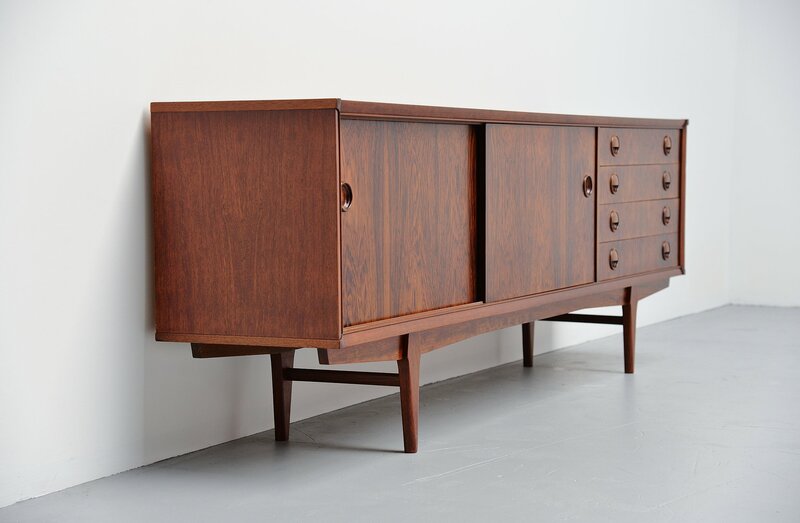 Fristho was one of the very few companies actually focusing on quality in the 1960s.